Product prices and availability are accurate as of 2019-04-19 05:55:31 UTC and are subject to change. Any price and availability information displayed on http://www.amazon.com/ at the time of purchase will apply to the purchase of this product. Author Bookstand is proud to offer Lake Tanganyika: Pathway to New Horizons - an Autobiography by Bookstand Publishing. Bookstand Publishing offers books by the best indie authors throughout North America and the world. Bookstand Publishing is dedicated to offering original content to a broad audience and promoting great authors, literacy, and freedom of expression. 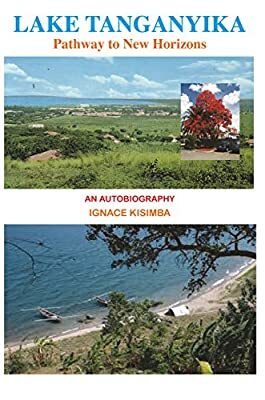 Lake Tanganyika: Pathway to New Horizons - an Autobiography has generated a lot of interest and excitement and we think it would be an excellent addition to your library. In this inspirational, eventful and dramatic memoir, the author tells his life as a son from mixed ethnic groups of East-Central African people. In his impoverished childhood, his story starts after a choc provoked by the encounter with his birth city's Lake Tanganyika. 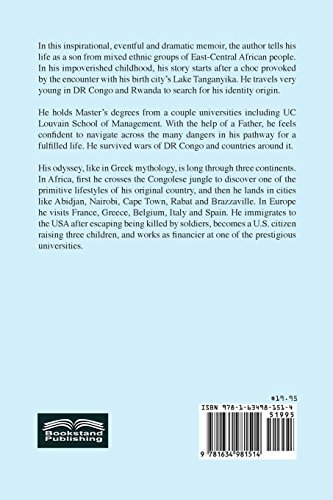 He travels very young in DR Congo and Rwanda to search for his identity origin. He holds Master's degrees from a couple universities including UC Louvain School of Management. With the help of a Father, he feels confident to navigate across the many dangers in his pathway for a fulfilled life. He survived wars of DR Congo and countries around it. His odyssey, like in Greek mythology, is long through three continents. In Africa, first he crosses the Congolese jungle to discover one of the primitive lifestyles of his original country, and then he lands in cities like Abidjan, Nairobi, Cape Town, Rabat and Brazzaville. In Europe he visits France, Greece, Belgium, Italy and Spain. He immigrates to the USA after escaping being killed by soldiers, becomes a U.S. citizen raising three children, and works as financier at one of the prestigious universities.